Keep your Patriots memories close with this New England Patriots Super Bowl LIII Trophy Bronze Coin Photo 12x20 Picture Frame. You'll love looking at your favorite Patriots moments with this Picture Frame, which features a individually numbered 8x10 photo of Tom Brady with the Vince Lombardi Trophy. 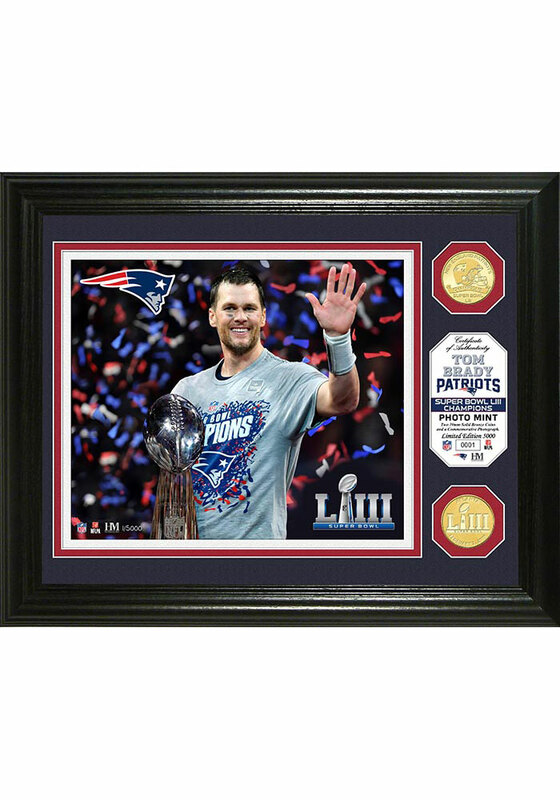 This frame includes a minted 39mm bronze Patriots Super Bowl 53 Champions commemorative coin and a Super Bowl 53 commemorative coin. A limited edition of only 5000 with a numbered certificate of authenticity is included.